 Colorado has many traditions and celebrations associated with Christmas. Denver's Civic Center, across the park from the state capitol, is lit each Christmas season with an impressive display that brings thousands to the city center on every night it's lit. Christmas stars light several Colorado towns like Castle Rock and Palmer Lake. As I've noted other years, Colorado also has a global role with Christmas as NORAD tracks Santa Claus while he travels around the world each Christmas Eve. 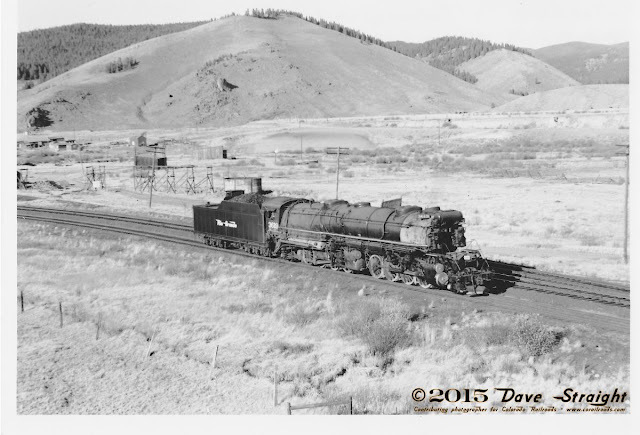 Also as with years before, I have a list of railroads and layouts across Colorado that host special Christmas events. This year I have them grouped by metro area. One final note before the listings: Reservations, where possible, are strongly encouraged as these events have a tendency to sell out at the last minute. 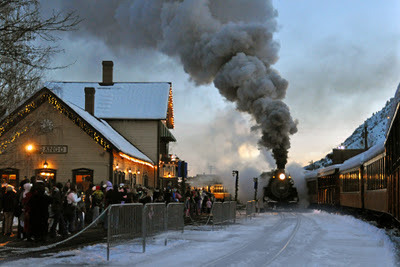 Excursion: North Pole Express on November 25 & 26; December 2, 9, 10, 16, & 17, 2011 Train departs at 6:00 p.m. from the Alamosa depot. Tickets are $15 for coach or upgrade to dome seats for $5 more per ticket. 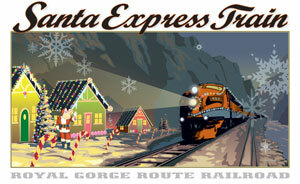 Children are encouraged to wear their pajamas for a true North Pole Express experience. Tickets are $30.00 per adult and $20.00 per child. 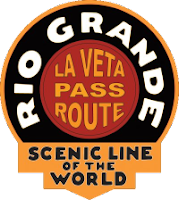 Excursion: Santa Express Train departing Canon City every Friday, Saturday and Sunday at: 6:00 PM, and every evening at: 6:00 PM beginning December 2 through the 26, 2011, with additional Saturday departures at 12:30 PM (no trains Christmas day). Tickets start at $19 per child and $29 per adult with upgrades to dome class and first class available. Also, the Canon City and Royal Gorge is offering a New Year's Eve Dinner Train. Reservations by phone only at (719) 685-5401 with a credit card. Saturdays and Sundays, December 3 & 4, 10 & 11, 17 & 18, 19 - 24, 2011. Times vary but generally 9:30, 10:30 AM and 1:30 PM. Visit site to check specific dates and times as well as status. Several trains are already sold out. Event: Santa Claus Special – Steam-Up Event on December 3, 10, 11 & 17, 2011 from 9:00 a.m. – 5:00 p.m. The train runs every 30 minutes between 10:00 a.m. and 4:00 p.m. with Colorado Railroad Museum’s locomotive and a team of historic passenger cars all decked out for the holidays. The Depot General Store will offer hot chocolate. Excursion: Santa's Holiday Lights Train 4:30 PM on the same days as Santa's North Pole Adventure as well as Friday evenings. Excursion: Holiday Cheer Party, First three Fridays & Saturdays in December with wine glow, eggnog, hot spiced cider, hors d’oeuvres, and music. All departures weather permitting. Excursion: North Pole Express, see featured video, Friday, Saturday and Sundays at 5:15 and 6:50 PM through December 11, and daily December 15 - 28, 2011. An additional 8:25 PM departure is available Saturdays and then daily December 16 - 23, 2011. No trains run on Christmas Day. Tickets start at $28 per child and $38 per adult. 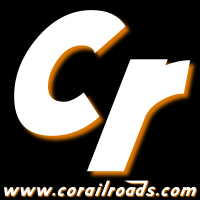 If you know of another event, you're welcome to comment in with the URL for the event, send me an e-mail, tweet @COrailroads or scrawl on CRs FB page.